In the year 1856 the Viceroy of India was announced. Charles Canning aka Lord Canning was the first British Viceroy in India. He was also the last governor general of India. Lord Canning had been Viceroy of India from the year 1856 till the year 1862. During these 6 years there are a lot of changes and new laws have made in India. Lord Canning or Charles Canning was a British statesman who was the Governor General of India at the time of 1857 Indian Rebellion. Canning was born in England in the year 1812 and walked into the world of politics in the year 1836. In the year 1855 he had become the Governor General of India after Lord Dalhousie. But after serving few months as Governor General he had become the first Viceroy of India in the year 1856 on the month of February. Under his service as Viceroy there are many laws and reforms took place. 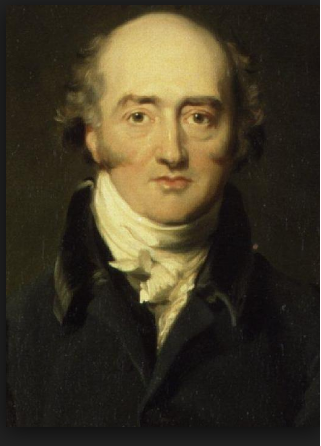 As a Viceroy of India, Lord canning had taken so many initiatives towards the reform of several sectors in Indian Economy. Army, Agriculture, different Acts and much more can be added to the list of reforms during his service. Bengal Rent Act: in the year 1859, Lord Canning started the Bengal Rent Act under which the landlords would not be able to increase the rent unless they will be told by the court or any authority. This act was to support the peasants and also had managed the riots in agricultural sector. Tea Mania: during the year ’50-’60 the tea gardens in Assam got attention. Lord Canning had announced about the sale and resale of the tea gardens for the betterment of the tea plantation. It was called Tea Mania. Under Lord Canning’s supervision the Indian Sepoys had joined the Army of East India Company during his service. The sepoys were listed under the regular army services and also got lessons from mutiny. The ratio of Indian Sepoy to European Army men will never be more than double. Government of India Act 1858: The Government of India Act was passed in the year 1858. Under this act the total power of the East India was transferred to the Secretary of the State India. The SSI was an office to handle the total power and authority of the Indian Administration. Under this new act it was declared that more than 50% of the SSI members must be Indian and must live in India. It was the centralised authority of the Indian Governance since 1958. Indian Councils Act 1861: Under this Act, new members had been added to the team under Governor General. This act was passed in the year 1861 by the parliament. It was said that under this act the burden of administrative work could be bringing down to ease the responsibilities of the Governor General of India. Also new teams had been made with 6-12 members who were assigned new tasks and works to be done under the supervision of the Governor General. Indian Civil Services Act 1861: Under this act it was declared that any Indian or European person who was living in India for at least seven years could be appointed in any offices in India. The concerned person had to pass a specific examination before getting into the job. Indian High Court Act 1861: In 1861, the Indian High Court Act was passed. The Act was passed to enable the Queen to issue letters for establishing the High Courts in places like Bombay, Madras and Calcutta. Under this act it was declared that 1 Chief Justice and max 15 judges could be served in all the High Courts. Indian Penal Code was first drafted in the year 1860, then it was passed in 1861 and finally the IPC came into action in the year 1862. Before IPC there was The English Criminal Law that used to operate in India. During the service of Lord Canning, the IPC was established and officially the codes and the laws came into action in the year 1862. After India, Pakistan, Sri Lanka, Bangladesh and other Asian countries which were under British rule had been established penal codes as well such as Pakistan Penal Code, Bangladesh Penal Code and so on. Under the Indian Council Act, 1861, there was a 5th member added to the Governor General Executive Council. That 5th member was appointed as the finance member in the council. The first finance member was named James Wilson. He proposed several taxes but only one of the three had come up as Income Tax. According to this tax, people whose income was of Rs. 500 or above will be eligible to pay 5% of total income as Income Tax.